Come to our track and try go Karting in Pattaya, you will find an amazing track layout which encourages you to have some fun with your group. If you are looking for things to do whether you are with your family or your friends you will definitely find that EasyKart PATTAYA (Bali Hai Pier) is a perfect fit. metres long which can be used for adults and kids that are driving for the first time. It is great fun in a safe environment. On this track we use lower powered karts as well as 2 seater karts so young and old can have fun time. ARE YOU A TRUE RACER? 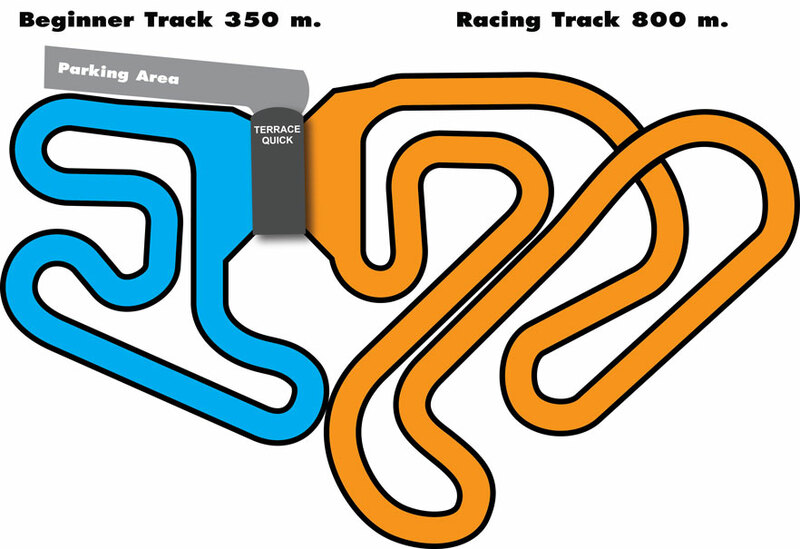 If you are our go karting racing track is for you! Perfect for groups, family or friends. We use the powerful 270 cc karts on our 800-metre long track. For adrenaline lovers it’s great fun and one of the most exciting experiences you can have on Pattaya. Our modern timing result system will track your performance for each lap. At the end of your race your results, as well as the results of your group, will be automatically printed out. This will show you the time of each of your laps as well as your best lap time. You can also see the best times done during the month and try to beat it! If you can manage to be the Fastest of the Month your picture and results will be put up on our Champions board!